It was a day full of close calls getting to Paris. We nearly missed our "chunnel" train after not realizing that boarding required airport-like security, and were greeted with rush hour traffic at the city's busiest station once we arrived. The three of us were pushed and shoved inside by people needing to also make it on board as this train only came every hour. We were crammed like sardines, but had made it and that's all that mattered. I was beyond excited to spend the next few days in a city I'd heard so much about. 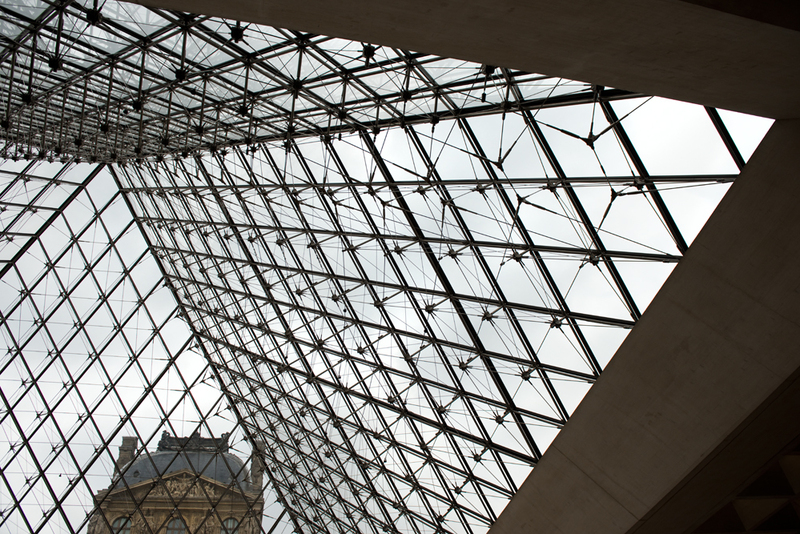 The Louvre was first on the agenda. The architecture of the building is a marvel in itself. Inside was an incredible exhibition of Neo-Classical paintings, most notably Jacques-Louis David's Coronation of Napoleon. I was in awe of how massive it was (you just can't tell in those Humanities text books.) That's one of the best parts about going to a museum and seeing famous paintings; you're either amazed at how large it is or have a laugh about how tiny it is (like the Mona Lisa.) 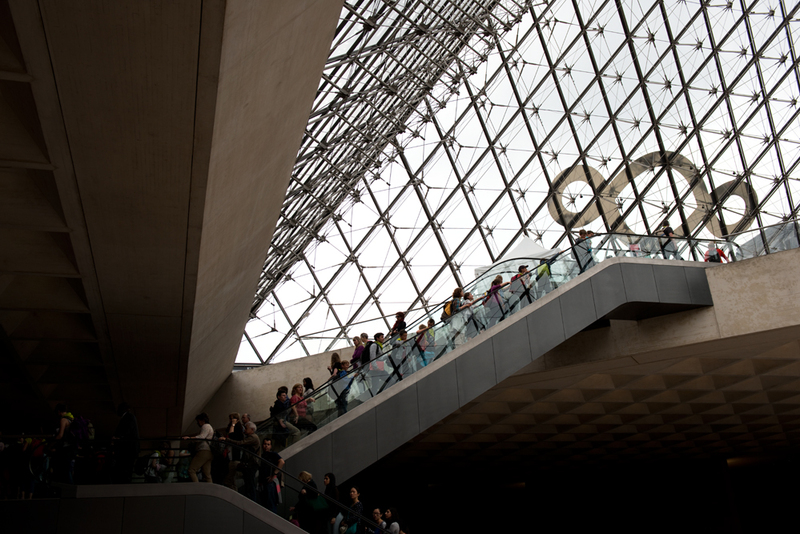 The Mona Lisa is what the Louvre is most famous for, so be prepared to fight a crowd then stand at a considerable distance (it's roped off) if you want to see it. Of course, what Paris trip is complete without a visit to the Eiffel Tower? I will be honest and say that after walking the gauntlet of vendor after vendor aggressively pushing Eiffel Tower keychains and shot glasses on you, the real thing is nearly ruined. Seeing the Louvre and the Eiffel Tower were musts, but at times felt overwhelming and crowded. I think the most Parisian experience one can have is in the Montmartre neighborhood (Amelie, anyone?) Its quaint, charming beauty looks straight from a movie set complete with cobblestone roads and picturesque store fronts. Delicious food is only made better by the cozy, unassuming cafes and friendly stands it's made by. I guess it's a well known fact that most French turn their nose up at Americans but I never was once treated outright rudely. If I could use three words to describe the Parisians they would be coy, charming, and sassy. Checking into my last hostel in Paris, the front desk receptionist offered me advice on where to eat, but gravely warned me that there were no McDonald's within walking distance so I pretended to be really disappointed. He laughed and said "I love joking with the Americans. Not every nationality can take a joke well, you know."